GREAT VALUE in this uncommonly spacious & bright home that feels like a house! 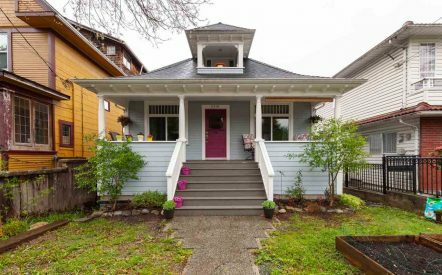 Set up high on the tree-lined street in the heart of Mt Pleasant, this rare front 1/2 duplex home offers a fenced front yard + 2 private patios! 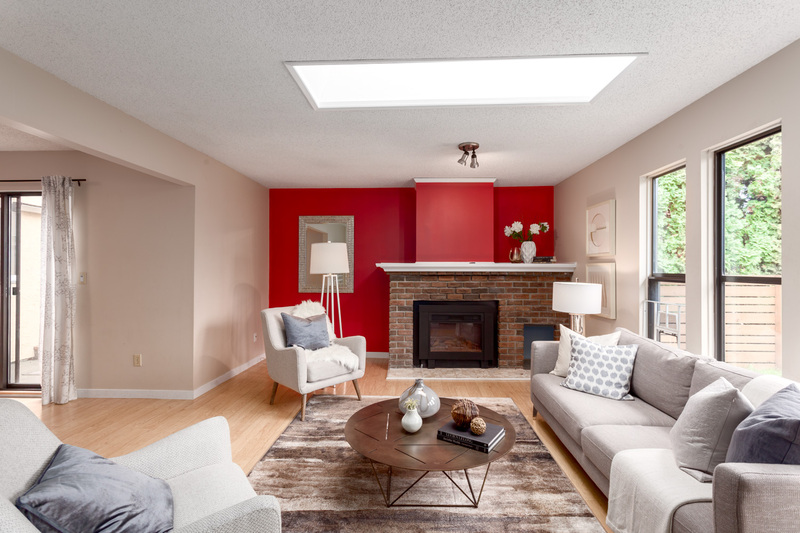 A large foyer leads to an airy living room with brick fireplace & skylights. Dining room fit for entertaining has glass sliders to the private patio. Roomy kitchen has double fridge, corner windows, ample storage, farmhouse sink & large eating area. Bonus office with patio access, laundry room & cool 2 storey skylit rec room. Generous bedrooms + good storage upstairs. Master has ensuite bath & double closets. 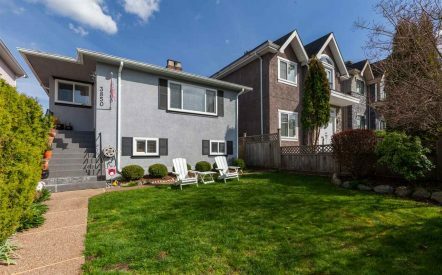 Great opportunity to add some equity into a fantastic family floorplan in an excellent community walkable to the Drive, Main, Fraser & Kingsway.